The U.S. healthcare industry is undergoing a major sea change right now due in part to the Affordable Care Act, as well as the need to digitize legacy systems that have remained largely paper-based in order to better facilitate information exchange. Proteus Duxbury, the CTO for the state of Colorado’s health insurance exchange, Connect for Health Colorado, has a wide and varied background in healthcare IT ranging from IT consulting and helping to lead a virtual health medicine group to his current position running the supporting technologies operating the Colorado exchange. Duxbury joined Connect for Health Colorado early 2014 as the exchange was going through its first major enrollment period. We spoke to Duxbury in advance of his keynote on July 22 at The Open Group Boston 2014 conference about the current state of healthcare IT and how Enterprise Architecture will play an integral part in the Connect for Health Colorado exchange moving forward as the organizations transitions from a start-up culture to a maintenance and run mode. Below is a transcript of that conversation. What factors went into making the roll-out of Connect for Health Colorado healthcare exchange a success? There were three things. The first is we have an exceptional leadership team. The CEO, especially, is a fantastic leader and was able to create a strong vision and have her team rally quickly behind it. The executive team was empowered to make decisions quickly and there was a highly dedicated work force and a powerful start-up culture. In addition, there was a uniformly shared passion to see healthcare reform successfully implemented in Colorado. The second reason for success was the flexibility and commitment of our core vendor—which is CGI—and their ability to effectively manage and be agile with rapidly changing regulatory requirements and rapidly changing needs. These systems had never been built anywhere else before; it really was a green field program of work. There was a shared commitment to achieving success and very strong contracting in place ensuring that we were fully protected throughout the whole process. The third is our COTS (Commercial Off-The-Shelf) solution that was selected. Early on, we established an architecture principle of deploying out-of-the-box products rather than trying to build from scratch, so there was minimal customization and development effort. Scope control was tight. We implemented the hCentive package, which is one of the leading health insurance exchange software packages. Best-of-breed solutions were implemented around the edges where it was necessary to meet a niche need, but we try to build as much into the single product as we can. We have a highly resilient and available architecture. The technical architecture scales well and has been very robust and resilient through a couple of very busy periods at the end of open enrollment, particularly on March 31st and toward the end of December, as the deadline for enrollment in 2014 plans approached. Why are you putting together an Enterprise Architecture for the exchange? We’re extremely busy right now with a number of critical projects. We’re still implementing core functionality but we do have a bit of a breather on the horizon. Going into next year things will get lighter, and now is the time for a clear roadmap to achieve the IT strategic objectives that I have set for the organization. We are trying to achieve a reduction in our M&O (maintenance and operations) expense because we need to be self-sustaining from a budgetary point of view. Our federal funding will be going away starting 2015 so we need to consolidate architecture and systems and gain additional efficiencies. We need to continue to meet our key SLAs, specifically around availability—we have a very public-facing set of systems. IT needs to be operationalized. We need to move from the existing start-up culture to the management of IT in a CMM (Capability Maturity Model) or ITIL-type fashion. And we also need to continue to grow and hold on to our customer base, as there is always a reasonable amount of churn and competing services in a relatively uncertain marketplace. We need to continue to grow our customer base so we can be self-sustaining. To support this, we need to have a more operationalized, robust and cost-efficient IT architecture, and we need a clear roadmap to get there. If you don’t have a roadmap or design that aligns with business priorities, then those things are difficult to achieve. Finally, I am building up an IT team. To date, we’ve been highly reliant on contractors and consultants to get us to where we are now. In order to reduce our cost base, we are building out our internal IT team and a number of key management roles. That means we need to have a roadmap and something that we can all steer towards—a shared architecture roadmap. What benefits do you expect to see from implementing the architecture? Growing our customer base is a critical goal—we need to stabilize the foundations of our IT solution and use that as a platform for future growth and innovation. It’s hard to grow and innovate if you haven’t got your core IT platform stabilized. By making our IT systems easier to be maintained and updated we hope to see continued reduction in IT M&O. High availability is another benefit I expect to see, as well as closer alignment with business goals and business processes and capabilities. Are there any particular challenges in setting up an Enterprise Architecture for a statewide health exchange? What are they? I think there are some unique challenges. The first is budget. We do need to be self-sustaining, and there is not a huge amount of budget available for additional capital investments. There is some, but it has to be very carefully allocated, managed and spent diligently. We do work within a tightly controlled federal set of regulations and constraints and are frequently under the spotlight from auditors and others. There are CMS (Center for Medicaid Services) regulations that define what we can and cannot do with our technology. We have security regulations that we have to exist within and a lot of IRS requirements that we have to meet and be compliant with. We have a complex set of partners to work with in Colorado and nationally—we have to work with Colorado state agencies such as the Department of Insurance and Medicaid (HCPF), we have to work very closely with a large number—we’ve currently got 17—of carriers. We have CMS and the federal marketplace (Federal Data Services Hub). We have one key vendor—CGI—but we are in a multi-vendor environment and all our projects involve having to manage multiple different organizations towards success. The final challenge is that we’re very busy still building applications and implementing functionality, so my job is to continue to be focused on successful delivery of two very large projects, while ensuring our longer term architecture planning is completed, which is going to be critical for our long-term sustainability. That’s the classic Enterprise Architecture conundrum. I feel like we’ve got a handle on it pretty well here—because they’re both critical. What are some of the biggest challenges that you see facing the Healthcare industry right now? Number one is probably integration—the integration of data especially between different systems. A lot of EMR (electronic medical record) systems are relatively closed to the outside world, and it can be expensive and difficult to open them up. Even though there are some good standards out there like HL7 and EDI (Electronic Data Interchange), everyone seems to be implementing them differently. Personal healthcare tech (mHealth and Telehealth) is not going to take off until there is more integration. For example, between whatever you’re using to track your smoking, blood pressure, weight, etc., it needs to be integrated seamlessly with your medical records and insurance provider. And until this data can be used for meaningful analytics and care planning, until they solve this integration nightmare, it’s going to be difficult really to make great strides. Security is the second challenge. There’s a huge proliferation of new technology endpoints and there’s a lot of weak leaks around people, process and technology. The regulators are only really starting to catch up, and they’re one step behind. There’s a lot of personal data out there and it’s not always technology that’s the weak leak. We have that pretty tightly controlled here because we’re highly regulated and are technology is tightly controlled, but on the provider side especially, it’s a huge challenge and every week we see a new data breach. The third challenge is ROI. There’s a lot of investment being made into personal health technology but because we’re in a private insurance market and a private provider market, until someone has really cracked what the ROI is for these initiatives, whether it’s tied to re-admissions or reimbursements, it’s never going to really become mainstream. And until it becomes part of the fabric of care delivery, real value is not going to be realized and health outcomes not significantly improved. But models are changing—once the shift to outcome-based reimbursement takes hold, providers will be more incentivized to really invest in these kind of technologies and get them working. But that shift hasn’t really occurred yet, and I’ve yet to see really compelling ROI models for a lot of these new investments. I’m a believer that it really has to be the healthcare provider that drives and facilitates the engagement with patients on these new technologies. Ultimately, I believe, people, left to their own devices, will experiment and play with something for a while, but unless their healthcare provider is engaging them actively on it, it’s not something that they will persist in doing. A lot of the large hospital groups are dipping their toe in the water and seeing what sticks, but I don’t really see any system where these new technologies are becoming part of the norm of healthcare delivery. Do you feel like there are other places that are seeing more success in this outside of the US? I know in the UK, they’re having a lot of success with their Telehealth pilots. But their primary objective is to make people healthier, so it’s a lot easier in that environment to have a good idea, show that there’s some case for improving outcomes and get funding. In the US, proving outcomes currently isn’t enough. You have to prove that there’s some revenue to be made or cost to be saved. In some markets, they’ve experienced problems similar to the US and in some markets it’s probably been easier. That doesn’t mean they’ve had an easy time implementing them—the UK has had huge problems with integration and with getting EMR systems deployed and implemented nationally. But a lot of those are classical IT problems of change management, scope control and trying to achieve too much too quickly. The healthcare industry is about 20 years behind other industries. They’re going through all the pain with the EMR rollouts that most manufacturing companies went through with ERP 20 years ago and most banks went through 40 years ago. 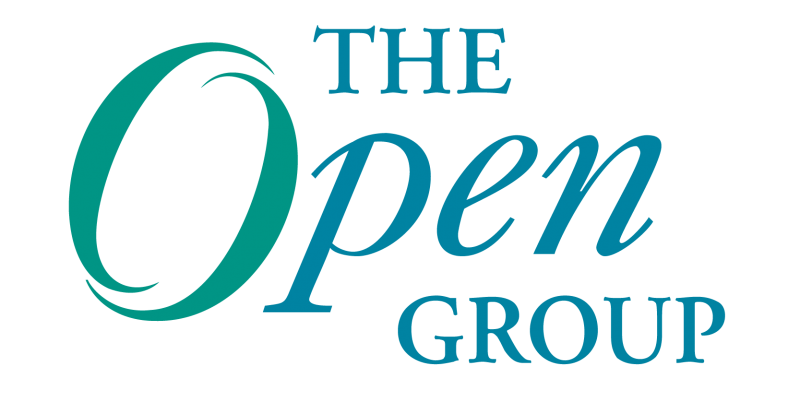 How can organizations such as The Open Group and its Healthcare Forum better work with the Healthcare industry to help them achieve better results? I think firstly bringing a perspective from other industries. Healthcare IT conferences and organizations tend to be largely made up of people who have been in healthcare most of their working lives. The Open Group brings in perspective from other industries. Also reference architectures—there’s a shortage of good reference architectures in the healthcare space and that’s something that is really The Open Group’s strong point. Models that span the entire healthcare ecosystem—including payers, providers, pharma and exchanges, IT process and especially IT architecture process—can be improved in healthcare. Healthcare IT departments aren’t as mature as other industries because the investment has not been there until now. They’re in a relative start-up mode. Enterprise Architecture—if you’re a large healthcare provider and you’re growing rapidly through M&O (like so many are right now), that’s a classic use case for having a structured Enterprise Architecture process. Within the insurance marketplace movement, things have grown very quickly; it’s been tough work. A handful of the states have been very successful, and I think we’re not unique in that we’re a start-up organization and it’s going to be several years until we mature to fully functional, well measured l IT organization. Architecture rigor and process is key to achieving sustainability and maturity. Proteus Duxbury joined Connect for Health Colorado as Chief Technology Officer in February 2014, directing technology strategy and operations. Proteus previously served at Catholic Health Initiatives, where he led all IT activities for Virtual Health Services, a division responsible for deploying Telehealth solutions throughout the US. Prior to that, Proteus served as a Managing Consultant at the PA Consulting Group, leading technology change programs in the US and UK primarily in the healthcare and life science industry. He holds a Bachelor of Science in Information Systems Management from Bournemouth University.